Nice workflow diagrams for decorating and improving your PowerPoint slides. Totally free. 100% editable. 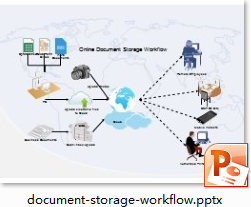 This page offers some fantastic workflow diagrams in PowerPoint format. They are highly artistic visuals that can attract attention in an instant. Use them to show your workflows visually in terms of people, action and data flow. 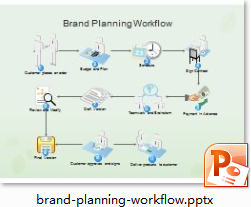 They will help you present, analyze and optimize workflow process. In this workflow diagram, all steps or actions are clearly visualized, making the process more comprehensible. 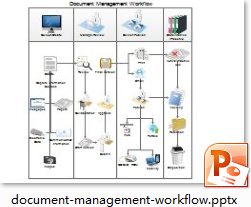 Note: click the picture to download this editable PowerPoint workflow diagram. 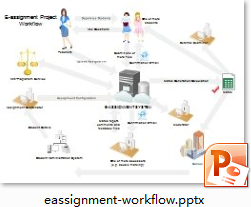 The above workflow diagram is black and white. You can make it colorful through the Theme tool. 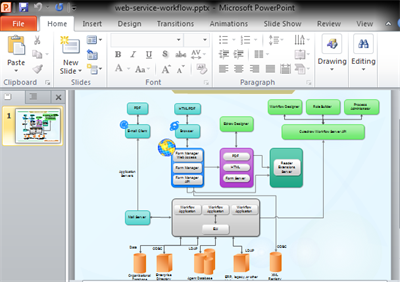 The above ppt workflow diagram depicts the workflow of web service clearly. By using different colors of shapes, the flow and sequence become clearer. 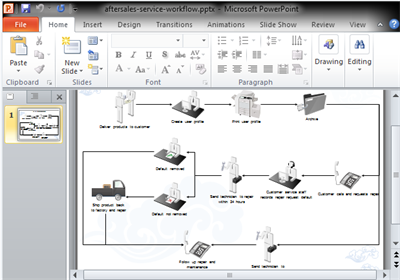 Here are more PowerPoint workflow diagram examples for your reference. In MS PowerPoint program, it's hard and time-consuming to gain such results. 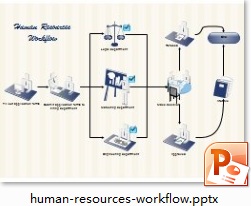 However, Edraw only requires a few minutes to finish a nice and vivid workflow diagram with lifelike images. 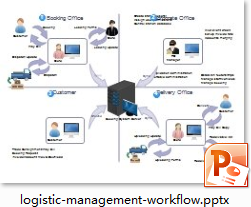 Note: Click the icons to view full version, download our software, create more workflow diagrams and export them into PowerPoint format. Edraw is a diagramming tool that excels at information visualization. It includes over 10,000 vector shapes and hundreds of diagrams that present data in a pictorial way. 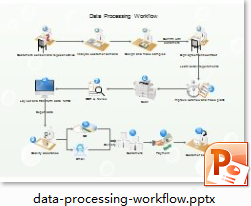 Included are also various workflow diagrams. It offers a set of specialized workflow diagram symbols. These shapes support drag-and-drop function and can connect automatically. 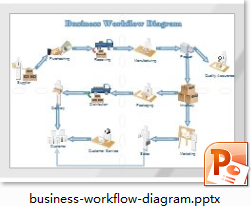 See more details in Workflow Diagram Creator. 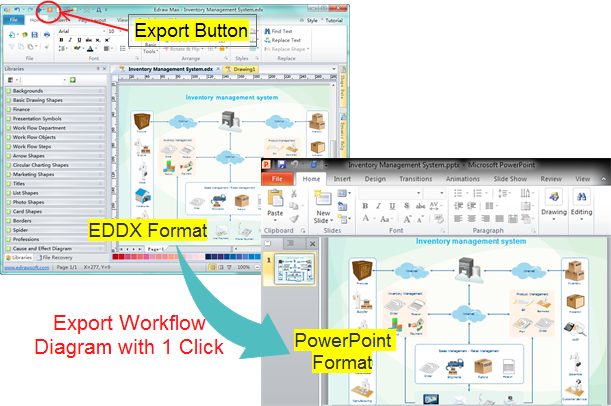 In Edraw, 1 click turns the workflow diagram into a fully editable PowerPoint file. Just click the Export button on the Quick Access Toolbar. 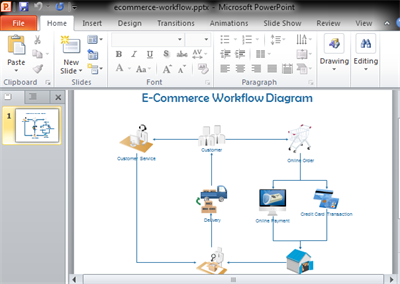 Discover why Edraw is an excellent program to create workflow diagram. Try Edraw FREE.